Seasonal Magazine: Manappuram at All Time High - How to Invest Here Now? Manappuram at All Time High - How to Invest Here Now? On the first trading day post its successful QIP of Rs. 1000 crore, Manappuram Finance (BSE: 531213, MANAPPG / NSE: MANAPPURAM) has marked not only new 52-Week Highs, but All-Time Highs. Naturally, it raises the question of how to enter or accumulate the stock, going forward. Though it has recently become a BSE-500 index stock, Manappuram is yet to have glaring media publicity across all segments of investors, like some other NBFCs promoted by diversified business houses like Bajaj, Mahindra, Reliance, Shriram, or Sundaram. Perhaps one reason was lack of awareness regarding Manappuram’s core gold loan segment. Still, Manappuram, headquartered in the non-descript village of Valappad in Thrissur District of India’s southernmost Kerala State, has been one of the most ardent wealth creators for its faithful band of early investors, many of them from Kerala itself. Manappuram stock which began its journey quietly at Rs. 10 in 1995, now stands effectively at Rs. 3560 - a jump to 35600% of original value. To put this in perspective, a Rs. 1 lakh investment in Manappuram in 1995 would be now worth Rs. 3.56 crore. A 356 times increase in as little as 15 years. The recent 52-Week High of Rs. 178.95 is after a 10/5 split, as well as two bonus issues, thus making the current effective rate for the original Rs. 10 face-valued scrip at Rs. 3560. Some later day investors made even more from the scrip - almost double than first investors - and that too even quicker, as Manappuram had slipped from its face value to a range of Rs. 6 to Rs. 7.50 during 2002 to 2004. However, today, many discerning investors must be ruing not about these levels, but the fact that Manappuram was available in its young teens during 2005, in its early 20s during 2006, and in its early 40s in as late as 2007. An even greater chance, by way of rapid gains, was available in the scrip as recent as 2009, when the scrip was available below Rs. 100. Not the current scrip of face value Rs. 2, but the original scrip of face value Rs. 10 which now has a value of around Rs. 3560. Was that the last multi-bagger opportunity in this stock? On first looks it would seem so, because from 2009 lows of Rs. 97 it shot up swiftly to almost Rs. 700 and Rs. 800 levels in 2009 and 2010 respectively. These were the years when the interest in this stock started soaring, due to the bountiful returns of 5X it accorded to high-profile investors like US headquartered Sequoia of Apple-Yahoo-Google fame. Now, the question before investors post QIP - in fact Manappuram’s second successful placement in recent fiscals - is whether the scrip is still of multi-bagger potential. The almost unbelievable, but fundamentally correct answer is yes. A quick glance at the six-months post their last bonus and stock-split is enough to convince anyone of this. The stock has grown to 225% or 2.25 times since May 2010. Now that brings investors to the next question - is this just a technical rise or is it backed by fundamentals? Again, a quick glance at the two quarters post May provides the answers. Net profit has jumped to 324% in June quarter and to 325% in September quarter, both YoY. Manappuram today trades at 33 P/E on TTM earnings, around 6 multiples above the NBFC industry average of 26. By book-value also it is highly valued, trading at 8.84 P/BV. Though it signals that caution is required, Manappuram has now reached a stage where forward P/E for FY’ 2012, 13, or even 14 are considered by investors due to the steady and relentless growth exhibited by this NBFC. How does the just concluded QIP change the scenario for entering and accumulating the stock? For one, the fact that the QIP was oversubscribed by nearly 1.8 times, at much above the floor price of Rs. 158.70, signals that a new support may be forming around the QIP price of Rs. 168. The Issue which was arranged by Bank of America Merrill Lynch, UBS, CLSA, & Enam, is known to have roped in quality long-only funds from high-profile institutions like Goldman Sachs, Fidelity, & Blackstone. 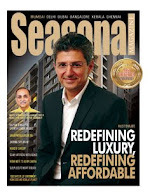 Earlier, before the QIP, speaking to Seasonal Magazine, Manappuram Chairman VP Nandakumar had indicated that the QIP wouldn’t amount to much dilution due to the good valuations, and that EPS growth could catch up with profit growth by the end of this fiscal. Manappuram’s Gold Loan Business - Risky or Rewarding? Manappuram - Overrated or Underrated?